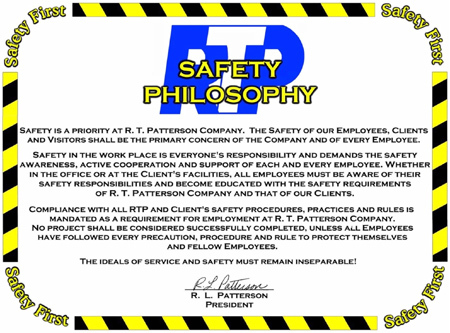 R.T. Patterson places a high priority on safety. In addition to our own internal requirements, we customize our safety requirements for field personnel to match individual customer requirements. We have provided a total of over 172,000 hours of field services over the last 9 years without a lost time accident. 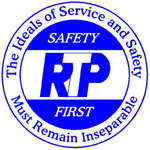 RTP Construction Assistance Personnel have, at a minimum, OSHA 10-Hour Certification.